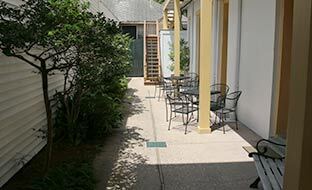 Prytania Park is a small, 60 room New Orleans courtyard style hotel with a variety of room types to suit every traveler. 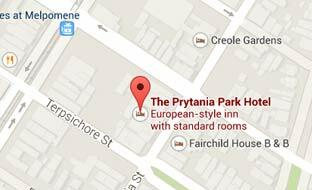 From the Contemporary modern rooms to our Historic Old World rooms, the Prytania Park is ideal for families, couples and business travelers. It is also perfect for bus tour groups as well. 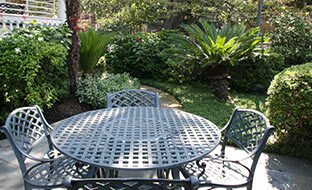 A calm oasis, the hotel's accommodations are surrounded by verdant courtyards accented by tropical landscaping. Each room is tastefully appointed with quality millwork, tiled bathrooms and Italian natural travertine marble in the large vanity dressing areas. The Loft style rooms were our creation to maximize vertical space while offering families with children and couples traveling together personal of their own. Part of the Prytania Park is an 1850's Greek Revival house that creates a romantic hideaway for honeymooners and romantics in 12 very unique rooms that can only be described as "Old World Charm". Visitors in search of New Orleans' yesteryears will appreciate the home's original exposed red brick walls, Red Heart Pine floors, 14 foot ceilings and reproductions of antique pine furnishings.